The Classics Club now has its very own blog and the first of its new features is a monthly meme. 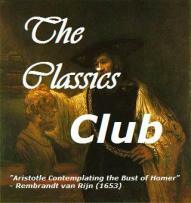 The question for August is - What is your favourite classic book? Why? A.A.Milne's Winnie-the-Pooh & The House at Pooh Corner. It was always my father who read bedtime stories and it was my father who chose what he would read to us. 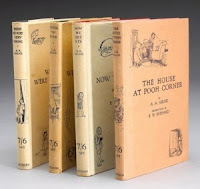 Something I appreciate now as he could see a world beyond Enid Blyton and delighted in introducing us to the magic of Alice and Peter Pan, the Wind in the Willows and The Water Babies....and Winnie-the-Pooh. 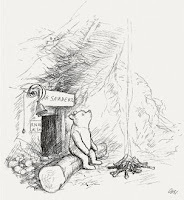 I doubt there is a child whose attention isn't immediately captured by the daring of naming a teddy bear Pooh and who won't soon learn to love sharing the adventures (and misadventures) of Pooh and his friends. When my children came along we bought new editions - bigger and brighter, the old black and white illustrations now in bold colours but the well loved stories remained the same. Rereading them as an adult shed new light on familiar words revealing the human insight and wisdom that most of the time goes over the heads of children. These days it's my grandchildren who are making friends with those who live in the 100 Acre Wood. I love that when they visit and we walk in the park, three generations solemnly select their sticks and lean over the bridge, competing together in the time-honoured tradition of Poohsticks. 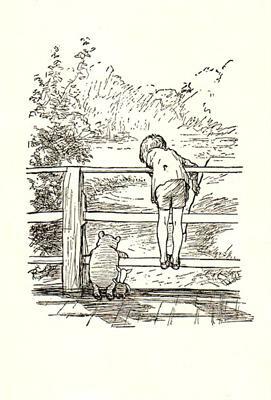 Like Christopher Robin, I've walked hand-in-hand with Winnie-the-Pooh for over fifty years with an enduring affection and gathering memories as we go. A great choice, Cat! There's something very magical about Winnie-the-Pooh. I think he'll be a children's favorite so long as parents continue reading to their children. I hope so and agree there's a timeless magic about the stories. Oh, this is a fantastic pick. My parents introduced me to Winnie the Pooh young too, I have a beautiful edition from them that I am saving for the future. I think Winnie the Pooh is so great because everyone can see themselves in one of the characters - I am bit like Piglet. Piglet is a sweetheart. :-) and there's something special about reading the stories from your childhood to your own children. Yes, alot of our favorites seem to be books that go back to our early reading, and that have stayed with us in some way. Lovely pick. I guess that's because the books are wrapped in memories and it makes them special. I love this. What great memories of such a wonderful book! You've actually spooked me a little, because in reading your post, I realize that I don't have a copy here to read with my kids. I need to get on that - PRONTO! I hope your children will love Pooh Bear, Sarah! 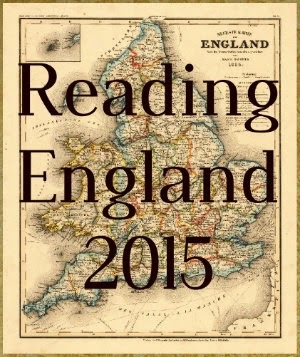 You have something lovely to look forward to and I'm sure you'll love them as much as the children. It is always the books that touch our hearts that stay with us forever. I love the Pooh books, too. That's very true! Glad you love Pooh too. Looks like they're not so popular as children's stories in America. I hope you'll enjoy your first adventure with Pooh. There was no Disney Pooh when I was a child which in hindsight I'm quite pleased about as we were introduced to the real thing. Too difficult trying to choose an adult classic so I settled for nostalgia. Curiously I hated Winnie the Pooh when I was little. I was in my 30's before I read him properly...and it was a Revelation! I found Pooh to be Funny, Wise and Profound. I then read The Tao of Pooh to discover that Pooh was Zen personified. He is now my Personal Hero and Guru!! I love The Tao of Pooh!